#Japanuary has become a popular hashtag with skiers traveling to Japan in January on the social media sites of the internet. Droves of skiers are now beginning to flock to the powder paradise of northern Japan and its north island of Hokkaido. I fell in love with the place nearly a decade ago when I went to Niseko, Japan to film for a ski movie by Sweetgrass Productions called, Signatures. When I returned home from that trip I immediately called my Dad and raved about the place. I told him that one day he would have to come with me. A couple weeks ago… he did, and we were calling it; #Dadpanuary! ^The travel slog is legit. My Dad handled it like an old pro. He used to travel to Japan a lot in the 90's for his job. Now he has earned his retirement, and I am glad that he did. I am stoked that he could join me to the land of the rising sun for powder skiing in the Niseko mountains rather then meetings in Tokyo conference rooms. 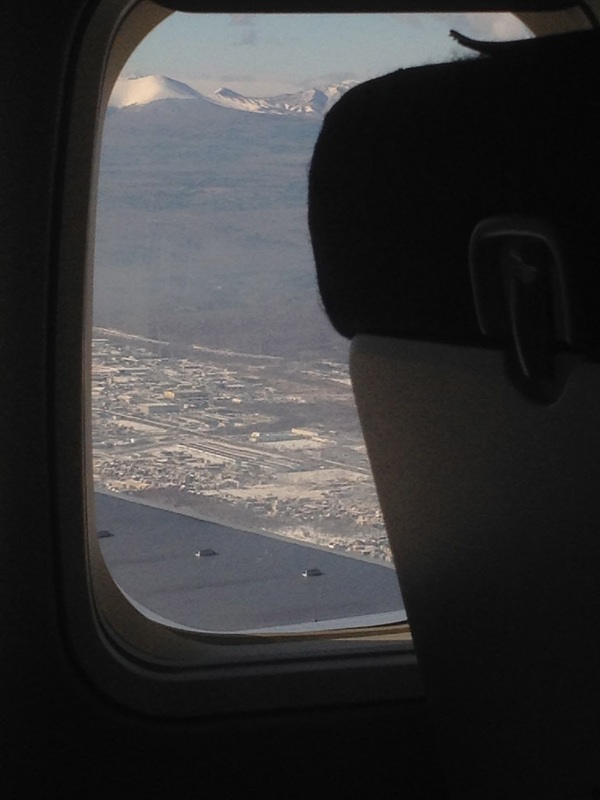 ^Our first visions of snow on the flight into Sapporo. 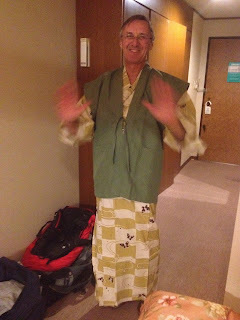 ^My good friend, Dave Magoffin, and I dreamed up a trip to Japan with our Dads, and they were the best partners for this trip. Dave and I have skied some of the planets gnarliest mountains together in our long history traveling and skiing for film and magazine projects. This trip was a whole different speed guiding our fathers around and operating at a pace meant for the sixty-year old plus crowd. ^Pops riding the gondola at Annupuri International of Niseko United. The resorts were a bit busier then the old days. It seems we did our job all those years ago, and the word is out. Understandable, this place is worthy of the praise. 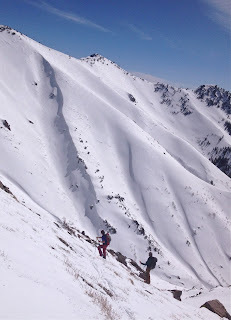 ^We got out and did a good amount of touring for our powder turns as well. 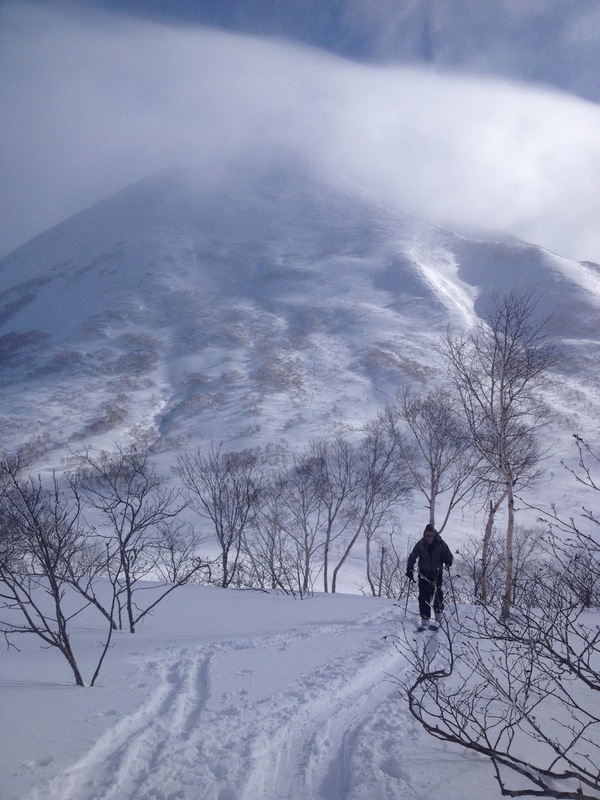 The Niseko backcountry has plenty of smaller terrain options that we could access easily with a nice slow pace. The Dads are in their sixties, and they do not get to tour as often as each of them would like in their respective hometowns. My Dad, Mike, coming from southeastern Wisconsin, and Dave's dad, Jim, from Fairbanks, Alaska. The older fellas held their own, and they maintained the best of attitudes. 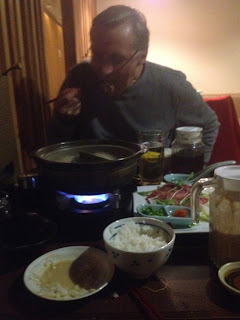 My favorite quote of the trip came from Jim after our first day touring for hip deep untracked Japanese powder, "Ummm… well… that might have been life-altering." I looked at Dave and just said, "Yes! It is only day one and the trip is now a success!" ^…and reaping the deep rewards. ^Flying home on the last leg of the return route into Salt Lake City we were blessed with a beautiful sunrise that I just sat and gazed at out the airplane window for a while. I was feeling super nostalgic about the whole journey. My Dad taught me to ski when I was five years old. He taught me how to ski powder at Vail when I was nine years old. Now here we were returning from my powder paradise happy place and he was thanking me for taking him. I obliged his gratitude, but couldn't help feeling like I should still be the one thanking him. He gave me the gift of the opportunity to discover a life on skis, and I will be forever grateful to him for that. For that matter, I am simply grateful to him for being my Dad. The kind of Dad that if I can live up to half the example he has been, then my own young son will be a very lucky kid. Not everyone has a Dad like that, and that has never fallen short on me. Thanks Dad… for everything.